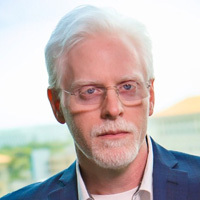 Perry Carpenter currently serves as Chief Evangelist and Strategy Officer for KnowBe4, the world's most popular security awareness and simulated phishing platform. Previously, Perry led security awareness, security culture management and anti-phishing behaviour management research at Gartner Research, in addition to covering areas of IAM strategy, CISO programme management mentoring and technology service provider success strategies. With a long career as a security professional and researcher, Perry has broad experience in North America and Europe, providing security consulting and advisory services for many of the best-known global brands. Perry holds a Master of Science in Information Assurance (MSIA) from Norwich University in Vermont and is a Certified Chief Information Security Officer (C|CISO). Empowering Africa through innovative IT solutions. Networks Unlimited is a Value-added Distributor, offering some of Gartner’s most highly recognised solutions within the Cybersecurity, Enterprise Systems Management, Cloud, Networking and Storage arena. Our solutions are sold through an extensive, reputable and solution-focused reseller base across 36 countries on the African continent. Security at Amazon Web Services is our top priority, which is why millions of global customers trust AWS to power their infrastructure, become more agile, and automate in the cloud. 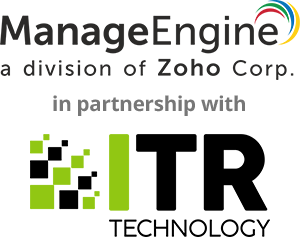 Axiz Axiz is SA’s leading information technology value added distributor that focuses on solutions covering edge devices, data centre and cloud. We believe in building ecosystems and transcending technology, with a results-driven focus that enables us to offer tailored solutions to our partners. McAfee McAfee is the device-to-cloud cybersecurity company providing security solutions with transformation in mind to protect data and stop threats from device to cloud using an open, proactive, and intelligence-driven approach. Blue Turtle is changing the game in cyber-defence, bringing together innovations in access, intelligence, detection and response, providing security teams with the insight, automation and tools needed to protect the complete digital landscape. CrowdStrike is the leader in cloud-delivered endpoint protection. Leveraging artificial intelligence (AI), the CrowdStrike Falcon® platform offers instant visibility and protection across the enterprise and prevents attacks on endpoints on or off the network. CrowdStrike Falcon deploys in minutes to deliver real-time protection and actionable intelligence from Day One. It seamlessly unifies next-generation AV with best-in-class endpoint detection and response, backed by 24/7 managed hunting. Its cloud infrastructure and single-agent architecture take away complexity and add scalability, manageability, and speed. CrowdStrike Falcon protects customers against all cyber attack types, using sophisticated signatureless AI and Indicator-of-Attack (IoA) based threat prevention to stop known and unknown threats in real time. Powered by the CrowdStrike Threat Graph™, Falcon instantly correlates 1 trillion security events a week from across the globe to immediately prevent and detect threats. NETSCOUT provides IT and business teams a seamless and consistent level of visibility into the performance, availability and security risks that impede digital agility, regardless of the underlying platform, provider, or location. Cloudflare, Inc. (@cloudflare) is on a mission to help build a better Internet. Today the company runs one of the world’s largest networks that powers more than 10 trillion requests per month, which is nearly 10 percent of all Internet requests worldwide. Cloudflare protects and accelerates any Internet application online without adding hardware, installing software, or changing a line of code. Internet properties powered by Cloudflare have all traffic routed through its intelligent global network, which gets smarter with each new site added. As a result, they see significant improvement in performance and a decrease in spam and other attacks. Cloudflare was recognized by the World Economic Forum as a Technology Pioneer, named the Most Innovative Network & Internet Technology Company for two years running by the Wall Street Journal, and ranked among the world's 50 most innovative companies by Fast Company. Headquartered in San Francisco, CA, Cloudflare has offices in San Jose, CA, Austin, TX, Champaign, IL, New York, NY, Washington, D.C., London, Munich, Beijing, and Singapore. Credence Security Established in 1999, Credence Security, a PAN-EMEA specialty distributor, is a leader in cybersecurity, forensics, governance, risk and compliance. 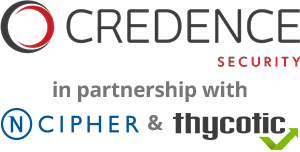 Credence Security is a pure-play provider of security and forensic solutions, to both public and private sector enterprises across Europe, Middle East, Africa and India, through a select network of specialist resellers. nCipher nCipher Security, a leader in hardware security modules (HSMs), empowers organizations by delivering trust, integrity and control to business critical information and applications. Our cryptographic solutions secure technologies including cloud, IoT, blockchain and digital payments, and help you meet compliance mandates. Thycotic The easiest to manage and most readily adopted privilege management solutions, Thycotic’s security tools limit privileged account risk, implement least privilege policies, control applications, and demonstrate compliance. Thycotic makes enterprise privilege management accessible for everyone by eliminating dependency on overly complex security tools and prioritizing productivity, flexibility and control. Mimecast is a cybersecurity provider that helps thousands of organizations worldwide make email safer, restore trust and bolster cyber resilience. Mimecast’s expanded cloud suite enables organizations to implement a comprehensive cyber resilience strategy. From email and web security, archive and data protection, to awareness training, uptime assurance and more, Mimecast helps organizations stand strong in the face of cyberattacks, human error and technical failure. Obscure Technologies is a security centric organisation of people, distributing best in class advanced security brands and their solutions to market through our valued partner community. 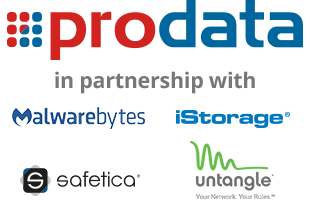 Prodata Prodata - Founded in 1992, is a leading Value Added IT Distributor of specialized solutions across Africa and Europe. With sound management, a driven sales team and an excellent administrative support system, Prodata is a master in the distribution field. iStorage iStorage is the trusted global leader of award-winning, PIN authenticated, hardware encrypted portable data storage devices. iStorage offers the most innovative range of products to securely encrypt, store and protect data to military standards. Safetica Safetica Technologies delivers data protection solution for business. Safetica DLP (Data Loss Prevention) prevents companies from data breaches, protects them against human error and helps to comply with regulations. Untangle Untangle is an award winning innovator in cybersecurity designed specifically for the below-enterprise market, safeguarding businesses, home offices, nonprofits, schools and governmental organizations with over 40,000 customers around the world. Quest Your technology challenges never stop changing, so neither do we. Whether it’s data explosion, cloud expansion, security threats or something new, Quest will work with you to help you solve your toughest IT challenges. Since 1987, we’ve provided software solutions for the fast paced world of enterprise IT. With Quest, you and your organization can spend less time on IT administration and more time on business innovation. Quest is a global provider to 130,000 companies across 100 countries, including 95% of the Fortune 500 and 90% of the Global 1000 and have the experience to help you manage and protect your data, take control of your hybrid environments, keep track of all network-connected devices, stay compliant and govern every identity across the enterprise. We’re Quest – simple solutions for a complex world. One Identity One Identity offers a comprehensive family of identity and access management (IAM) solutions designed to solve today’s challenges, and address tomorrow’s as they arise. We help you get identity and access management right. One Identity believes that security is much more than the practice of denial and restriction. That’s why One Identity’s design and integration philosophy is that our solutions must add agility and efficiency to an organization – regardless of size or market – as well as secure its digital assets. One Identity delivers identity governance, access management, and privileged account management solutions that facilitate and secure your digital transformation. Let us help you get IAM right. Rapid7 is advancing security to accelerate innovation. Learn how our Insight cloud delivers shared visibility, analytics, and automation at www.rapid7.com. LAWtrust (an Etion company) is a specialist cyber security solutions provider that focusses in establishing positive identity, ensuring authenticity and protecting privacy. Solutions include SSL certificates and certificate management systems, FIDO certified strong authentication, digital signature and approval solutions, managed public key infrastructure (PKI), encryption solutions for database and cloud systems, biometric enrolment and matching systems and insider threat prevention with the eDNA platform. More information on how we can assist can be found at: www.lawtrust.co.za. SmartCrypto your Data Protection and Public Key Infrastructure (PKI) Partner. 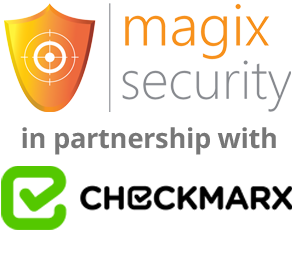 Offering best in industry solutions and Root Certificate Authority as a Service(R-CAaaS)....simplifying your security needs. ManageEngine Software ManageEngine crafts comprehensive IT management software with a focus on making your job easier. Our 90+ products and free tools cover everything your IT needs, at prices you can afford. From network and device management to security and service desk software, we're bringing IT together for an integrated, overarching approach to optimize your IT. 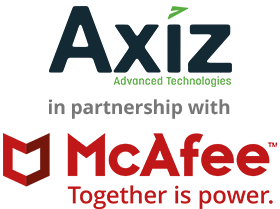 ITR Technology ITR Technology have been the sole distributers of ManageEngine software in South Africa for over 18 years. With certified support engineers, a dedicated sales and marketing team and a newly constructed ManageEngine training centre, ITR Technology values making a difference in the lives of IT professionals. Micro Focus Micro Focus is uniquely positioned to help customers maximise existing software investments and embrace innovation in a world of hybrid IT, from mainframe to mobile to cloud. Micro Focus is one of the largest pure-play software companies in the world, focused from the ground up on building, selling and supporting software. This focus allows the company to deliver on its mission to put customers at the centre of innovation and deliver high-quality, enterprise-grade scalable software that the Micro Focus teams can be proud of. Micro Focus helps customers bridge the old and the new by maximising the ROI on existing software investments and enabling innovation in the new hybrid model for enterprise IT. Galix Founded in 1995 Galix focuses on network communications and information security. The company offers reliable management security solutions, cyber security and consulting services. Moreover, Galix provides audits and offers remediation with regards to PCI DSS compliance and ISO 27001. SonicWall has been fighting the cybercriminal industry for over 27 years, defending small, medium-sized businesses and enterprises, so you can do more business with less fear. 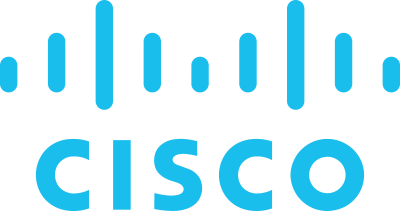 Westcon-Comstor Sub-Saharan Africa, a subsidiary of the global WestconGroup Inc., is a leading value-added distributor of cloud, technology and converged communications solutions for the enterprise and SMB markets. Advanced threats via e-mail and other means are more prevalent than ever. A new way of addressing this is needed. 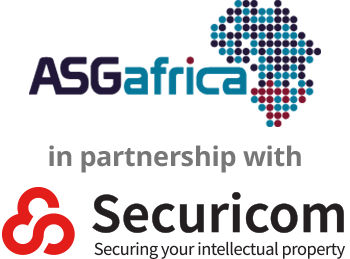 Come and see us to hear how e-Purifier provides the most advanced, locally relevant security for your e-mail and let’s start a discussion around how Securicom and ASG can secure your intellectual property end to end. Credo Technologies, Division of Phinity Risk Solutions International LTD.
We help facilitate the discussion required to articulate each companies specific information security needs, by aligning the required tools to the budget, risk and compliance directives. Our approach is to harness the collective power of technology, partners and experience to deliver tailored solutions. CyberIAM specialises in Identity and Access Management. We provide our clients with solutions to mitigate risks and threats from poor Identity Governance through our methodology of Analysis, Plan, Design, Build, Test and Deploy. CyberTech is a managed cyber security service provider specializing in security and cryptographic services across Africa and Europe. Our highly-skilled, certified personnel assist clients in their information security transformation journey. At F5, our mission is based on the fact that businesses depend on apps. Whether it's apps that help connect businesses to their customers or apps that help employees do their jobs—we make sure apps are always available, and secure, anywhere. The world's largest enterprises, service providers, financial and educational institutions, government entities, and consumer brands rely on F5 to stay ahead of security, cloud, and mobility trends. More information on how we can assist can be found at: www.f5.com. Checkmarx Checkmarx is the Software Exposure Platform for the enterprise. Over 1,400 organizations around the globe rely on Checkmarx to measure and manage software risk at the speed of DevOps. Checkmarx serves five of the world's top 10 software vendors, four of the top American banks, and many government organizations and Fortune 500 enterprises, including SAP, Samsung, and Salesforce.com. Learn more at Checkmarx.com or follow us on Twitter: @checkmarx. Marsh is one of the Marsh & McLennan Companies, together with Guy Carpenter, Mercer, and Oliver Wyman. A global leader in insurance broking and innovative risk management solutions, Marsh's 30,000 colleagues advise individual and commercial clients of all sizes in over 130 countries. Marsh is a wholly owned subsidiary of Marsh & McLennan Companies (NYSE: MMC), the leading global professional services firm in the areas of risk, strategy and people. With annual revenue over US$14 billion and nearly 65,000 colleagues worldwide, MMC helps clients navigate an increasingly dynamic and complex environment through four market-leading firms. In addition to Marsh, MMC is the parent company of Guy Carpenter, Mercer, and Oliver Wyman. Marsh Proprietary Limited is an authorised financial services provider and regulated by the Financial Services Board (FSP Licence: 8414). Phinity Risk Solutions (PTY) LTD. Our Integrated Risk Management solutions help our customers mature risk management process and provide the required reporting for effective business support. The easy and intuitive user interface makes it a breeze to manage. Phinity suite can help you manage some of your greatest operational concerns. Popcorn Training - a KnowBe4 company create high quality, engaging and effective security awareness videos, games and interactive learning modules. All content is locally produced and available on KnowBe4's award-winning training and simulated phishing platform. KnowBe4, whose mission it is to help organisations manage the ongoing problem of social engineering are a leader in the Gartner Magic Quadrant for security awareness. Wolfpack are a proudly SA, level 2-BBBEE company serving small to large companies since 2011. We deliver professional, product independent and business-aligned information risk and cyber threat consulting, training & awareness solutions. Zenith Systems specialises in GDPR/POPIA data discovery, classification and management solutions (Spirion), as well as SIEM and Cyber Deception tools. 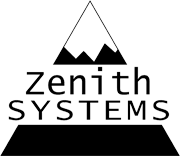 Meet compliance and Data Security objectives with Zenith Systems. 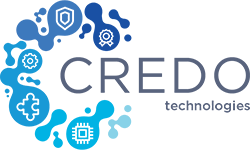 OT-Morpho is now IDEMIA, the global leader in trusted identities for an increasingly digital world. Through Augmented Identity, we empower citizens and consumers alike to interact, pay, connect, travel and vote in ways that are now possible in a connected environment. The Institute of Information Technology Professionals South Africa (IITPSA) is South Africa’s industry body for IT professionals, and a SAQA recognised and IP3 accredited professional body.